Luke continues the theme of the confrontation between the Pharisees and Jesus. In a real way this conflict is the constant conflict between God and man and basically it falls back to the question, who has the authority God or man. If man can make Laws which are binding in matters of life and death then man is putting himself on the level of God. The Pharisees would have let the man with the withered hand stay sick. They would have let him suffer til tomorrow assuming that they had the right to decide when a person would be healed. But Jesus sees the Sabbath as it really is, a day to give glory to God but not a day to forget the duty due to our neighbour. Why then, does the argument between Jesus and the Pharisees grow so intense, even to the point of the Pharisees hating him? 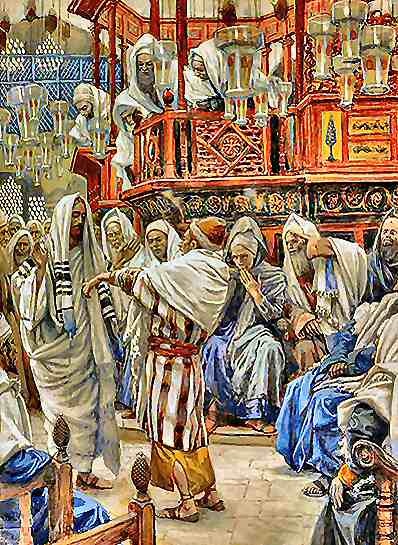 Because the Pharisees in so many petty ways used the Law to keep themselves in power; they had so many rules and regulations that only they could interpret and the people could do nothing without consulting them. All of this reflects the struggle between human nature and our desire to control our own life and the lives of those around us and the justice of God and how he always puts the other person first. The struggle between the Law and justice is as old as humanity itself, and that struggle shall last as long as the world lasts!